Flying Vikings is the difference between promise and performance. You can become the pilot you always dreamed that you would be with flight training in San Francisco, CA by Flying Vikings. Our flight school training facilities are located at Hayward Executive Airport in the San Francisco, California, area, where our students learn to fly our fleet of Cessna and Piper aircrafts. Contact us to enroll in our flight classes. Our training facilities have everything to suit the needs of any prospective pilot, from private pilot training to ATP certification. An essential part of our advanced flight training is our FAA-approved Elite PCATD flight simulator. With the combination of simulations and in-aircraft practice, you will be well trained to handle any situation with the utmost safety and care. As a Lasergrade/PSI testing facility, we also offer the convenience of taking your FAA written exams right here. We are able to train to the requirements of Part 141 or Part 61. 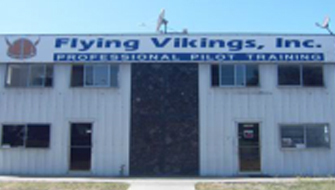 Few other schools offer the benefit of training under such experienced pilots as the ones we have at Flying Vikings. Get to know our training team.